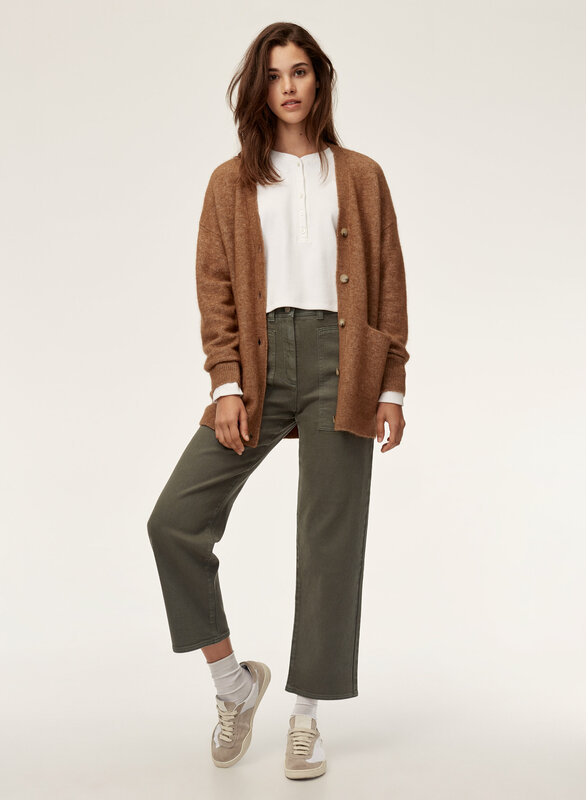 Styled with ryley pant and mavis t-shirt . 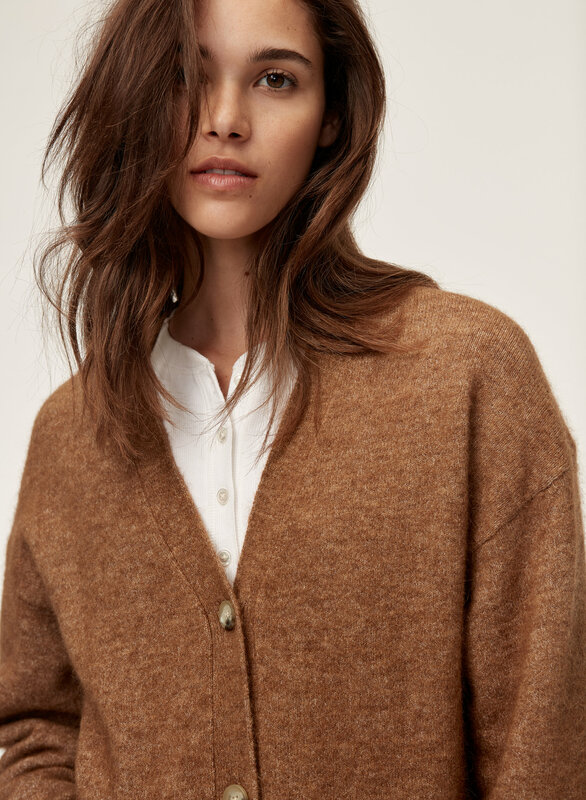 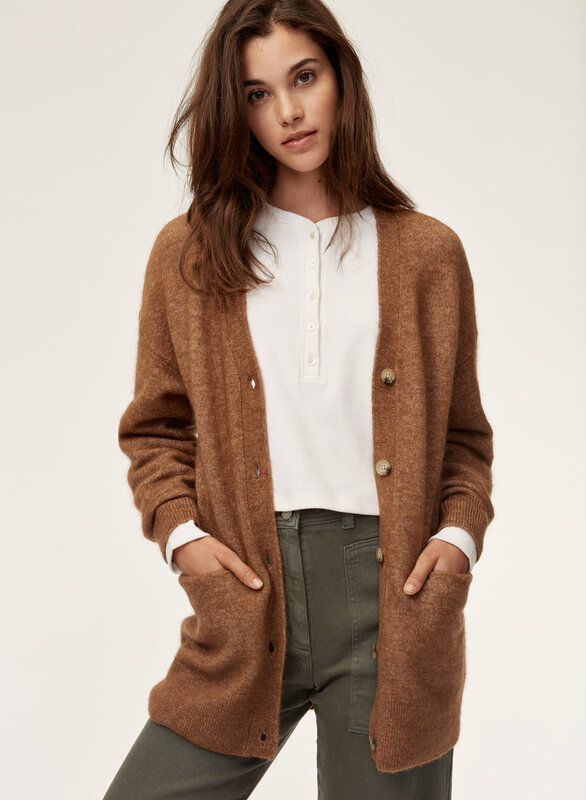 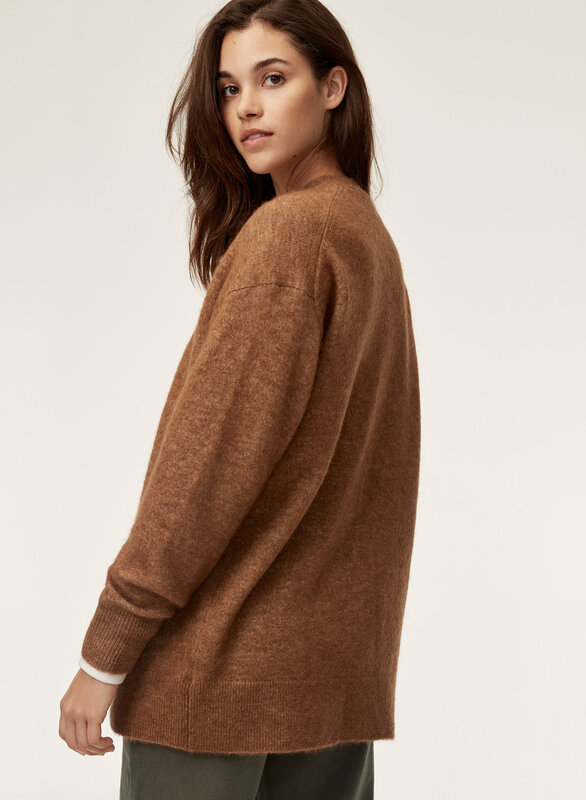 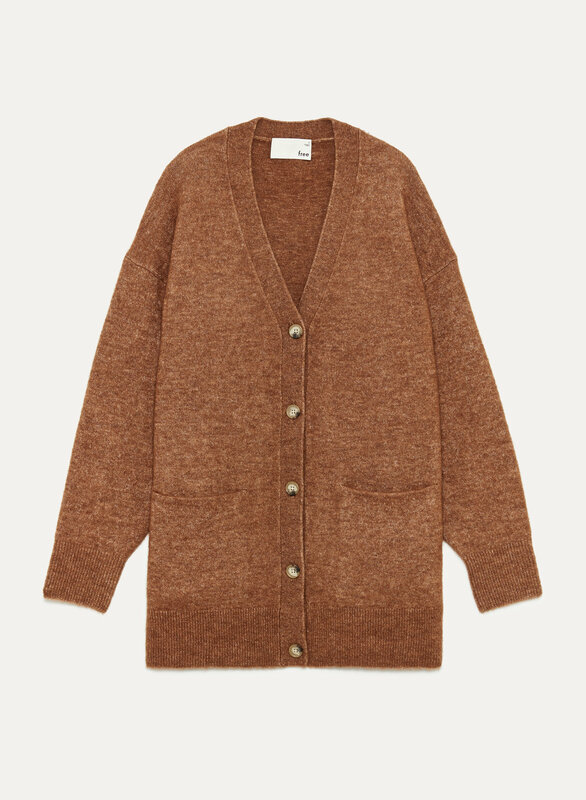 The Natalie is a super-soft cardigan with boyish good looks. 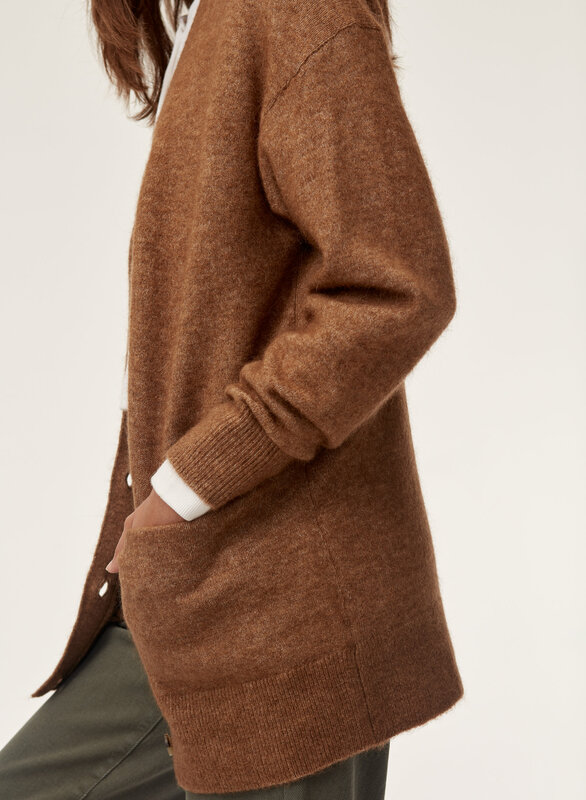 Knit from a warm but lofty alpaca blend, it has a relaxed fit and a longer silhouette that flatter over leggings and jeans alike.